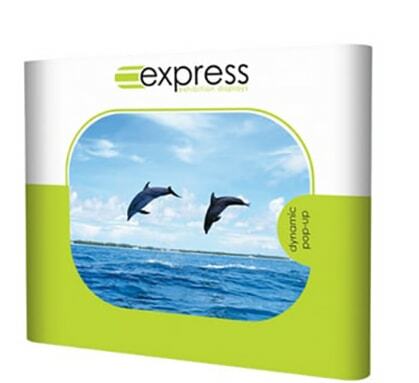 This stand-only display comes with graphic, frame and no frills to help you deliver a big display on a tight budget. Assembled Dimensions: (Medium) 3×3 -2225mm high x 2700mm wide. 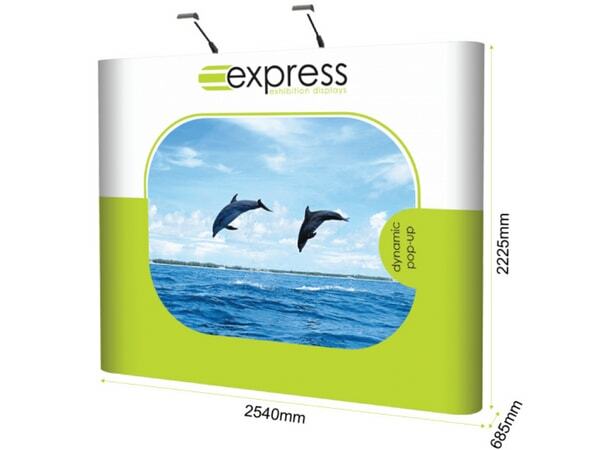 New to our range of pop up displays, this straight pop up stand would be a great addition to any exhibition stand where space is at a premium. As the back wall is straight, you also get more visual area as compared to it’s curved friend. The kit will be supplied packed in cardboard boxes making it easier to transport and store when required. Optional extras like lights and a transport case can also be supplied if required. Price includes pop up frame and graphics. Main display: 2225mm high x 3665mm wide; bleed area of 336.5mm required at both ends. Take all parts out of the transport box. Extend the lattice pop up display structure by gently pulling it apart until the central magnets join together. Connect the magnetic bars to the front of the pop up stand by clicking them in place. Attach the panels to the frame from the left (the graphic panel is numbered 1). by hooking it to the top of the structure and attach to the magnetic bars.